We have years of experience in repairing all types of hacks, malware and viruses for Joomla! and WordPress sites worldwide. If you have a website you'll know that keeping it secure is a full time job. Hackers are constantly testing sites for weaknesses and vulnerabilities so they can use them as email spamming relays, fake banking login pages or selling viagra and other pharmaceuticals. Sometimes they just want to deface your site for the fun of it. The end result can be as little as disruptive downtime or as serious as customer data loss or domain blacklisting. Joomla! and WordPress can be secure but they are very popular website platforms and as such attract a lot of attention from the wrong sort of people. We have over 6 years experience in building, managing and repairing sites from around the world. We can get you back online and functioning quickly and fix any security holes which allowed the hackers in in the first place. We can even work with you get your site removed from the Google Malware list and IP blacklists. Once repaired our Managed Hosting will not only keep your site secure and monitored but allow rapid recovery in case of any downtime and give you from 30 minutes up to 10 hours of 'any use' support per month. Our first job is to identitify the nature and scope of the attack. Once this is done we can clean and repair your site. We upgrade the core to the latest release in your version and replace any corrupted plugins or extensions. We can usually get a hacked site back online within 1 hour. Once you are back online it's important to ensure it doesn't happen again. We use a variety of methods to prevent hack attacks, rogue registrations, unauthorised administrator access and these combined with our security audit will prevent most hackers. We can even create a security plan based on a threat specific to your organisation, your sector or your site. We backup your site and database on a frequency from weekly to hourly depending upon your requirements. All backups are kept offline for security. 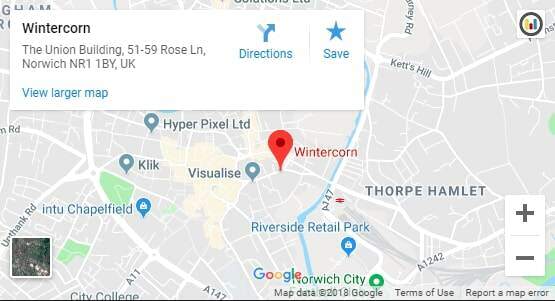 If you don't want to spend your time looking after your site but need a secure hosted and managed environment Wintercorn offer a Managed Hosting service where we look after your site as if it's one of our own.